Tax Office Solutions offers several mutually beneficial opportunities for partnership that foster success. We are proud to share our knowledge and resources with individuals and organizations at every level. Whether you are a corporation seeking simple tax solutions or a college student looking to expand your experience and knowledge, discover Tax Office Solutions Partnership Opportunities. Want to Learn More Information about our partnership opportunities? Ensuring your employees have access to comprehensive tax services is a great benefit that allows your team to focus their attention on work-related projects and take a hands-off approach to filing their annual taxes. Refer your employees, friends, or family members to Tax Office Solutions and receive compensation for your referral. Corporations also have further opportunities to partner with Tax Office Solutions for outsourcing tax preparation and accounting. Our team of experts will handle all of the back-end procedures of completing and filing the tax returns. This is a whitelabel service, allowing the work to be completed in your corporation’s name. Avoid investing in tax training and hiring tax preparation experts by partnering with Tax Office Solutions. Learn how you can join our Corporate Alliance Program today. Meet university course requirements and gain real-world business and accounting experience through the custom, tailored College Mentorship Partnership Program. If you are a student in business, accounting, or a discipline that requires job shadowing or on-the-job training to graduate, this is your opportunity to work with certified tax professionals and gain experience that prepares you for your future career. Want to start a new career today? Join our Mentorship Program. Learn More. 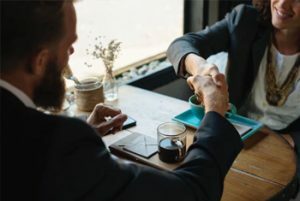 These partnerships allow Tax Office Solutions to continue bringing your organization the best in industry services that allow your business to flourish. Everyday, we work to add new partnerships that add value to your company and grow your revenue.